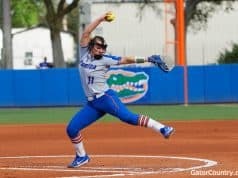 The Florida Gators (6-2, 4-2) fell to the Georgia Bulldogs (7-1, 5-1) in Jacksonville on Saturday afternoon after three costly turnovers. 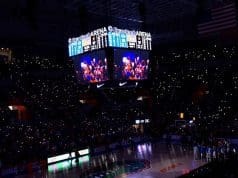 Florida committed three turnovers that resulted in 13 points for Georgia including a key turnover in the third quarter after the Bulldogs had just scored. 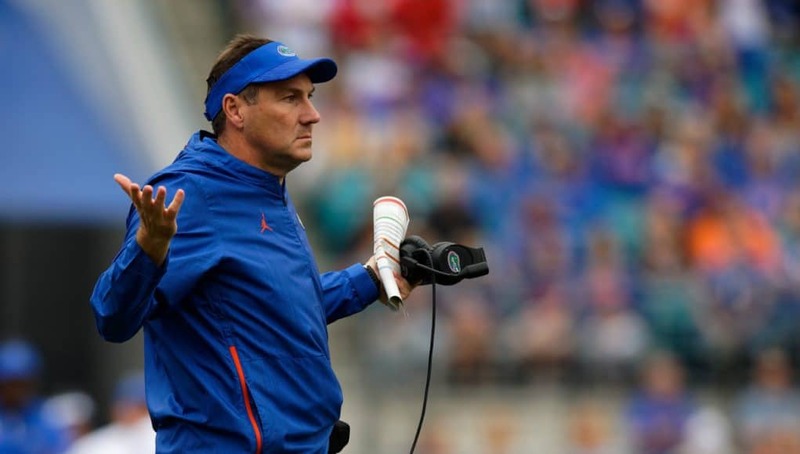 The Gators put up over 250 yard of total offense in the game but the turnovers were just too much to overcome. Georgia 3, Florida 0- 21-yard field goal is good by Rodrigo Blankenship with 8:11 to go. Scoring Drive: 12 plays for 71 yards, 6:49 time of possession. Georgia 10, Florida 0- 16-yard touchdown pass from Jake Fromm to Jeremiah Holloman with 6:07 to go. Scoring Drive: 3 plays for 13 yards, 1:17 time of possession. Georgia 10, Florida 7- 1-yard rushing touchdown by Feleipe Franks with 9:57 to go. Scoring Drive: 14 plays for 76 yards, 7:04 time of possession. Georgia 13, Florida 7- 22-yard field goal is good by Rodrigo Blankenship with 2 seconds to go. Scoring Drive: 7 plays for 75 yards, 48 seconds time of possession. 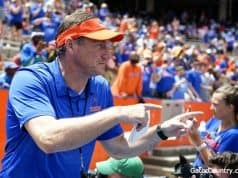 Florida 14, Georgia 13- 36-yard passing touchdown from Feleipe Franks to Freddie Swain with 13:35 to go. Scoring Drive: 3 plays for 48 yards, 1:14 time of possession. Georgia 20, Florida 14- 12-yard touchdown pass from Jake Fromm to Jeremiah Holloman with 10:33 to go. Scoring Drive: 7 plays for 72 yards, 2:55 time of possession. Georgia 23, Florida 14- 18-yard field goal is good by Rodrigo Blankenship with 7 seconds to go. Scoring Drive: 6 plays for 0 yards, 3:58 time of possession. Georgia 23, Florida 17- 42-yard field goal is good by Evan McPherson with 11:12 to go. Scoring Drive: 7 plays for 50 yards, 3:55 time of possession. Georgia 29, Florida 17-24-yard touchdown pass from Jake Fromm to Terry Godwin with 8:39 to go. Scoring Drive: 9 plays for 75 yards, 2:33 time of possession. Georgia 36, Florida 17- 33-yard rushing touchdown by D’Andre Swift with 4:29 to go. Scoring Drive: 6 plays for 66 yards, 3:44 time of possession.